A complete system analysis to ensure proper installation and examine any changes, alterations, additions or damage. Access to, and functioning of, every connected device such as heat detectors, smoke detectors, pull stations, pressure switches, etc. This includes devices in all common areas as well as any device inside dwelling units. Functioning of fire system monitoring, to ensure monitoring company is receiving required trouble and alarm signals for emergency dispatch. Alarm zone annunciation and operation of all remote annunciators, which inform the fire department or on-site staff where the device has been activated. Functioning of EVAC (evacuation) system, including voice communication and paging systems, firefighters’ phones and related equipment. On-site service and repair of code deficiencies for immediate compliance. 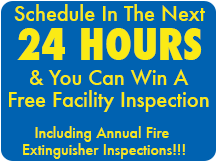 To schedule your fire alarm test, call one of our fire protection specialists today 1-800-427-7025…. 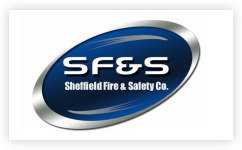 The Fire Safety Groups clients span an array of industries from Restaurants to Hospitals. 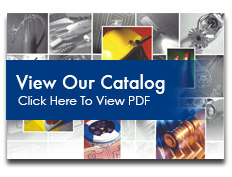 Below you will find a small sample of clients we service. 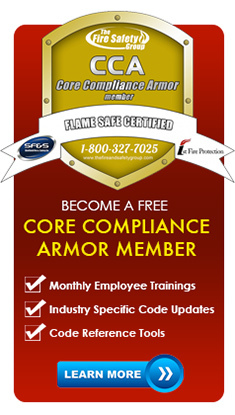 Schedule a Free On Site Compliance Survey or Private Phone Consultation Today!